With a wide zoom range of 10x - 67x, the Richter Optica S6-BL15 provides a variety of magnifications for viewing rocks, insects, small parts or just about any other dissecting item. The stand has a compact footprint, designed specifically with schools in mind for placement in storage cabinets. With built-in reflected and transmitted LED illumination, there is plenty of light provided and dual rheostat controls allow for precise lighting control. The Richter Optica S6-BL stereo microscope provides options for increasing / decreasing magnification including 10x, 15x and 20x eyepieces as well as a 0.5x and 1.5x auxiliary lens. View complete microscope magnification chart options here. 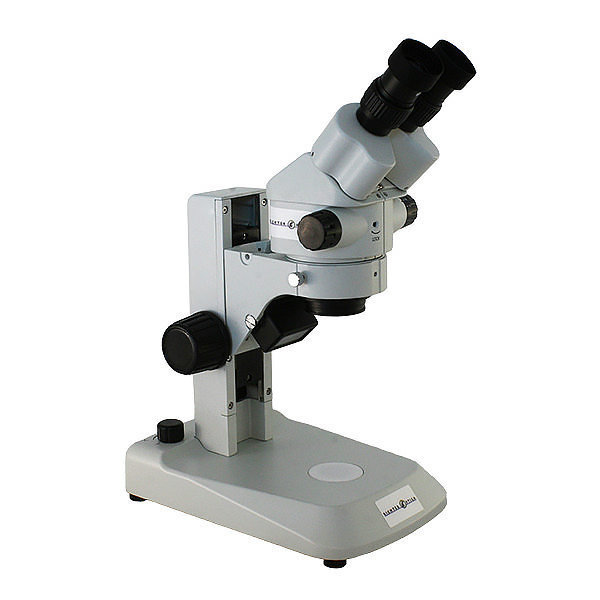 The S6-BL is a popular high school dissecting microscope choice due to it's compact size. 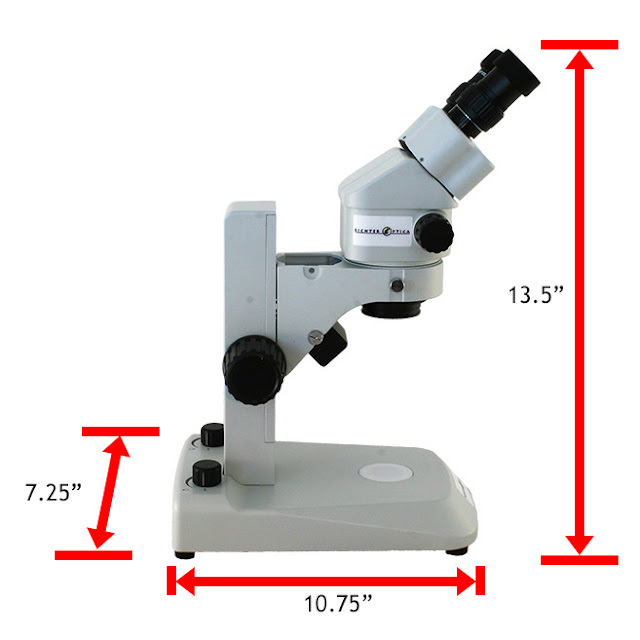 Contact Microscope World with any questions regarding stereo zoom microscopes.